Find a vacation home to rent in Großarl from our list of vacation rental properties. 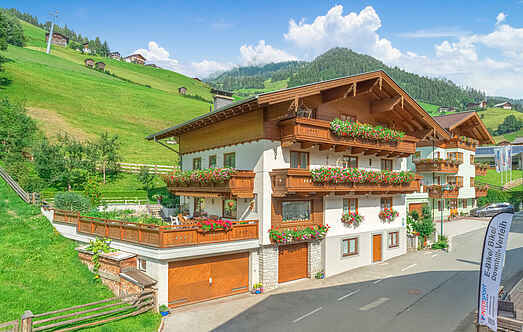 Campaya has over 29 vacation homes available in Großarl, which give you the possibility to locate a unique accommodation in Großarl which completes your check-list in search for the perfect self catering vacation apartments in Großarl or vacation villas in Großarl. This beautiful holiday apartment is in an excellent place called Schied in Großarltal. The apartment is spacious, bright and well equipped. This pleasant holiday apartment with a balcony is located in Grossarl. Apartment ASA435 is a mansard apartment. Apartment ASA622 is located on the first floor. This charming property is located in the centre of Großarl, where you will find 3 beautifully furnished apartments (ASA683, ASA684, and ASA685), all featuring a balcony. "Enjoy your best time of the year with the family or friends in the natural log house made of spruce wood. This pleasant holiday apartment with a balcony is in Grossarl. ASA435 is a mansard apartment. ASA622 is on the 1st floor. The apartment is centrally located, in a quiet area. You will find this spacious apartment with balcony, spread over 2 floors in Grossarltal right in town of Großarl. This pretty and authentic holiday apartment is just 4 km from Großarl.